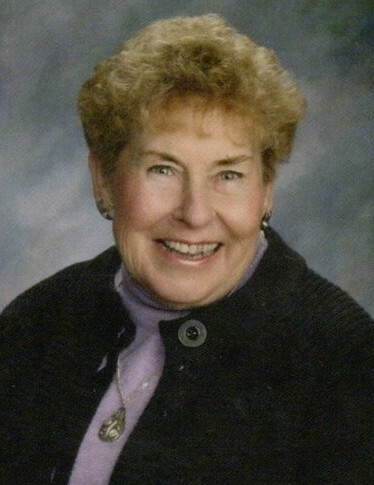 HOLYOKE: Marion Frances (Haggerty) Tierney, age 86 of Holyoke, passed away peacefully at Baystate Medical Center surrounded by her family, on Saturday, March 23, 2019. Marion was born in Holyoke on February 4, 1933. Marion was a graduate of the former Providence Hospital School of Nursing. After graduation Marion went on to work as a nurse in a career she would love for the rest of her life. Marion worked for many years as a private duty nurse and at the Mount Holyoke College infirmary. She spent the last 20 years of her career working for the Commonwealth of Massachusetts Department of Public Health Division of Health Care Quality as a Health Facility Surveyor. Marion was the widow of Daniel E. Tierney who died on March 22, 2015. Marion is survived by her son Neil (wife Sharon) of South Hadley and their daughter Tricia (Michael) Cummings and Marion's great grandchildren Sophie and Thomas, their daughter Katie (Robert) Fink and their son Daniel Tierney and his fiancé Alexandra; son Brian (Sharon) Tierney of Tolland, Connecticut and their children Kelly and her fiancé Brian and Michael Tierney and his wife Kristina; and her son Kevin (Mary Kay) Tierney and their sons Sean and Kevin of Holyoke. Marion was proud and active member of the Holyoke St. Patrick's Parade Committee. She was the recipient of the O’Connell Award presented to a parade committee member for outstanding efforts in fund raising. In recent years Marion spent a lot of time at the Holyoke Senior Center. Marion was co-chairman for the initial fund raising for the new Senior Center. Marion worked with enthusiasm for all future fund raising to supply the Senior Center with its needs. Marion looked forward to Wednesday’s with her friends at the Senior Center working the raffle table, playing bingo and attending the many events put on by the Friends of the Council on Aging. Relatives and friends are asked to meet for Marion’s Mass of Christian Burial on Friday, March 29th at 10:00 a.m. in Saint Jerome Church, 169 Hampden Street, Holyoke. Burial will be private. Calling hours will be held Thursday, March 28th from 4:00 to 7:00 p.m. at the Barry J. Farrell Funeral Home, 2049 Northampton Street. The family has requested that flowers be omitted, and memorial contributions made to The Holyoke Friends of the Council of Aging, 291 Pine St., Holyoke, MA 01040.